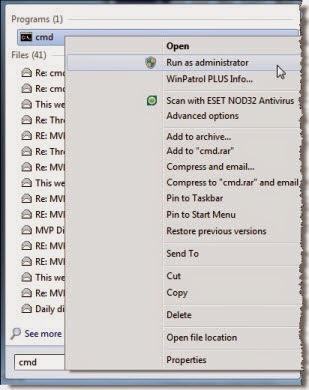 A small tip on how to run your command prompt as an administrator in Windows 7 or Windows 8. While you can carry out many tasks using the CMD, some tasks required elevated privileges to carry out. In such cases you have to open an elevated command prompt window. Right click on it and from the context menu select Run as Administrator. Take the cursor to the bottom left corner and right-click on open the WinX menu. 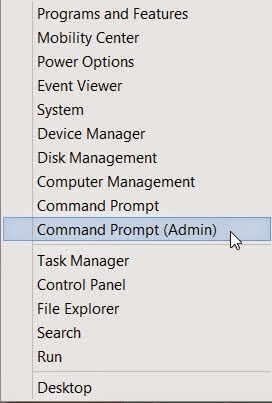 Select Command Prompt (Admin) to open an elevated command prompt. Things have been made easier in Windows 8. Incidentally, you can also simply open the Start Menu in Windows 7 or Start Screen in Windows 8 and start typing thecommand line. Next, hold the Shift and Ctrl keys, and then hit Enter to open the command line in an elevated command prompt.